On Thursday, November 8, Special Olympics athlete, coach and International Global Messenger Kristina (O’Neal) Rhodes will be interviewed on KSHB-TV. 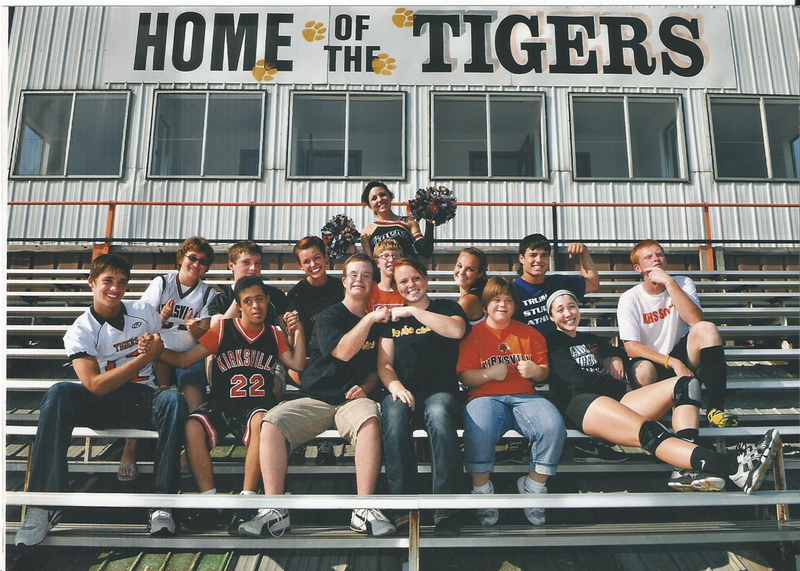 Tune in as she discusses her work with Special Olympics in Missouri and the Send a High Five Campaign, a joint initiative between VSP Vision Care and Special Olympics. Almost 200 million people have intellectual disabilities, and up to 40 percent of these individuals are also affected by some type of vision loss or abnormality. To address this issue, VSP Vision Care worked with the Special Olympics to provide 50,000 athletes around the U.S. with the vision care they need via the “Send a High Five” campaign. For more information on the importance of healthy eyes and the campaign, check out this infographic! Kristina, along with Dr. Lee Ann Barrett from the Missouri Optometric Association and the Opening Eyes program, will discuss the importance of an annual eye exam—particularly for individuals with intellectual disabilities—and share their own experiences in relation to eye health and the Special Olympics. Make sure to tune in at 11:15 am on Thursday! Lisa Berryhill is an athlete from Southeast Area. 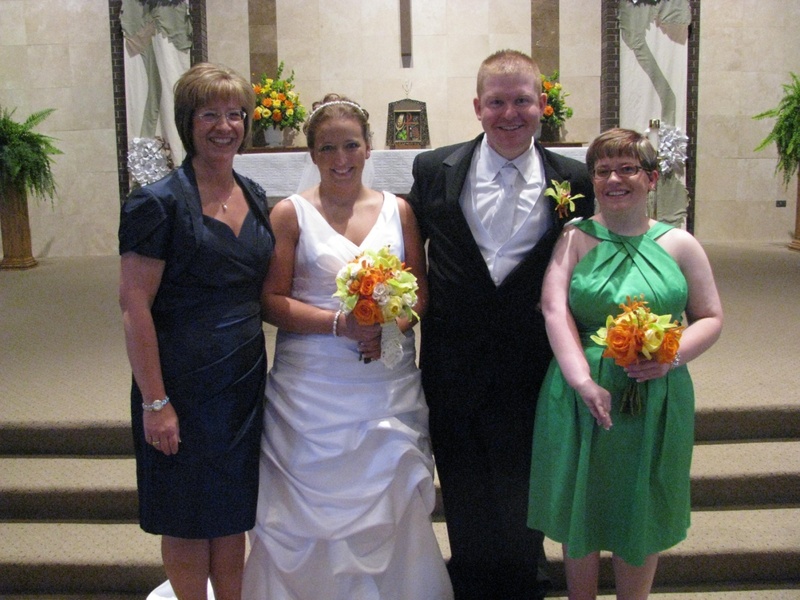 Her sister, Amy, is her Unified Partner and asked Lisa to be her maid of honor. Lisa showed incredible courage as she delivered the toast in front of a full room of guests at the wedding on June 16, 2012. Below is the text from the speech. I’d like to make a toast to Amy and Billy. First I wanted to say that Amy has always been there for me. She has done Special Olympics bocce doubles with me. She comes to watch my Special Olympics events to cheer me on and now Billy has started to come and cheer me on too. Amy and I might fight a lot, but we are still sisters and we are there for each other. I love her and am proud of her. Billy you better be good to her and take care of her. Billy picks on me a lot and tries to make me mad, but I want him to know that I still love him. I hope you both the best and just want you to be happy. Welcome to the family, Billy. I love you both! Be happy! Brenda Niemeyer is mother to athlete Jared as well as an active coach and volunteer in the Northeast Area. Every parent is filled with hopes and dreams at the birth of their child. Anything is possible for this precious little one; the possibilities are limitless and the future is bright! 18 parents out of 100 learn their child has an intellectual or developmental disability. The love you feel for your child is undeniable; when a parent is informed of their child’s limitations or impairments, they grieve for the loss of possibilities for their child. You agonize for the limitations a disability or the world may impose on your child. Despite this stunning news your child is a blessing, a precious addition to your family. You begin navigating the slippery slopes of the disability world. You spend hours promoting development, implementing therapeutic methods to strengthen, sharpen, enhance, and stimulate growth, juggling schedules and simply striving to be an informed, effective parent. Before you know it, your little one grows and develops into a remarkable individual with hopes and dreams of their own! Our children are remarkable, gifted actually, with a capacity others often lack. Our children learn to not accept defeat, to celebrate the successes, develop resiliency to overcome difficulties with a sense of humor and commitment, they embrace their capacity for caring and lavish it upon others. These differences are not limiting – they are character defining. Such obstacles have generated an empowered individual. 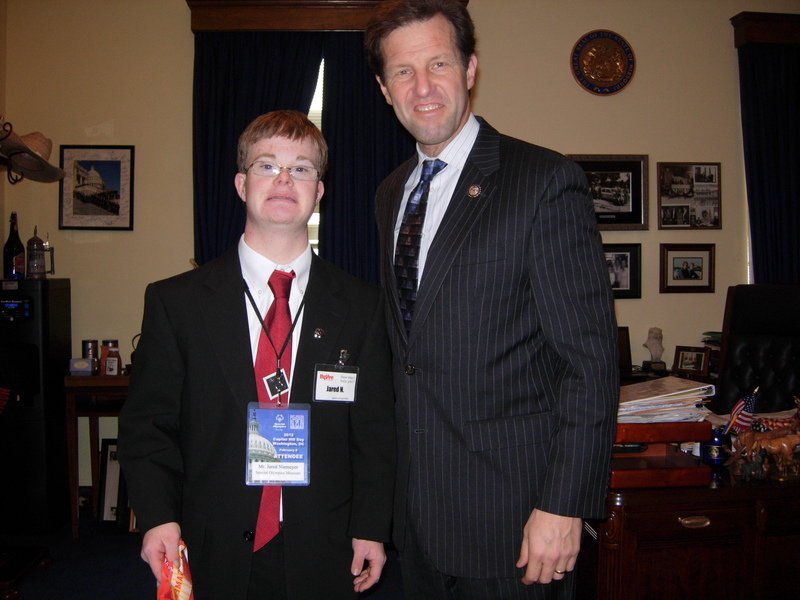 These were the types of individuals speaking to their legislators in Washington D. C. for Special Olympics Capitol Hill day on February 8, 2012. Special Olympics athletes representing 40 states met with their Representatives and Senators to discuss disability issues, the Eunice Kennedy Shriver (EKS) Act and how Special Olympics has influenced their life. These dynamic, empowered individuals carried remarkable messages of overcoming countless obstacles, courage in the midst of loss or defeat, rejuvenating hope and enlightenment. Their message was confident, genuine and truly inspirational! The Missouri delegation met individually with the legislative assistants of Representatives Vicky Hartzler, Sam Graves, Billy Long, Emanuel Cleaver, and Senator Claire McCaskill. We also met with staff of Representative Joanne Emerson, Chairperson of the Appropriations Committee. We had the honor of speaking with Representatives Todd Akin, Russ Carnahan, Blaine Luetkemeyer and William L. Clay, Jr. President & COO of Special Olympics International, Brady Lum, joined us for an excellent conversation with Jack Ruddy, legislative assistant to Rep. Sam Graves. Our final visit of the day was with Senator Roy Blunt, co-sponsor of the Eunice Kennedy Shriver Act. This meeting took place in Senator Blunt’s offices. The conference room of Senator Blunt’s office was the office of Harry S. Truman’s during part of his vice-presidency. 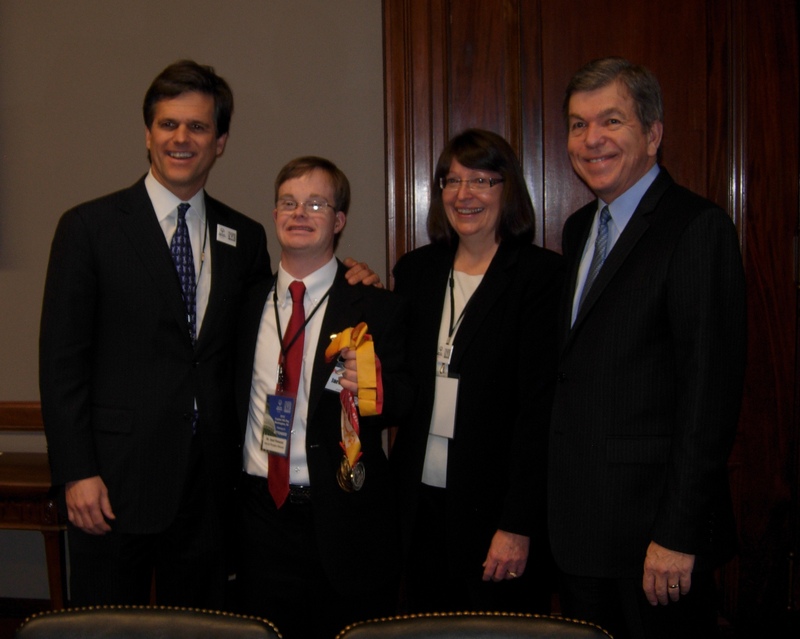 Tim Shriver, Chairman & CEO Special Olympics, Inc., was able to join us for this remarkable meeting. Senator Blunt shared with us historical moments during Truman’s tenure. As a committed supporter of intellectual/developmental disability issues, Blunt not only received us warmly, but spoke knowledgably of our concerns. Capitol Hill Day concluded with a candlelight vigil at the Reflecting Pool. Despite the cold temperatures and chilly rain – spirits and enthusiasm could not be dampened! The message to promote inclusive education, competitive employment and healthy living remained strong! Hopes and dreams were very much alive within the hearts of every individual representing Special Olympics and Best Buddies. On Capitol Hill the voices of these Special Olympics athletes and Best Buddies were confident, speaking out with the resilience taught by life experience and character representative of strong personal values. The individuals participating in Capitol Hill Day reminded one another they represented thousands of athletes from their home states; therefore, were committed to delivering a strong, clear message. Pursuing inclusive education, community living, fair and competitive employment and living healthy lifestyles was the focus of this message. Their dreams are bold, their voice was strong and clear. The hopes and dreams of these remarkable young individuals are perhaps greater than those we may have initially dreamed for our children! Let’s join our voices with those who carry this message every day. 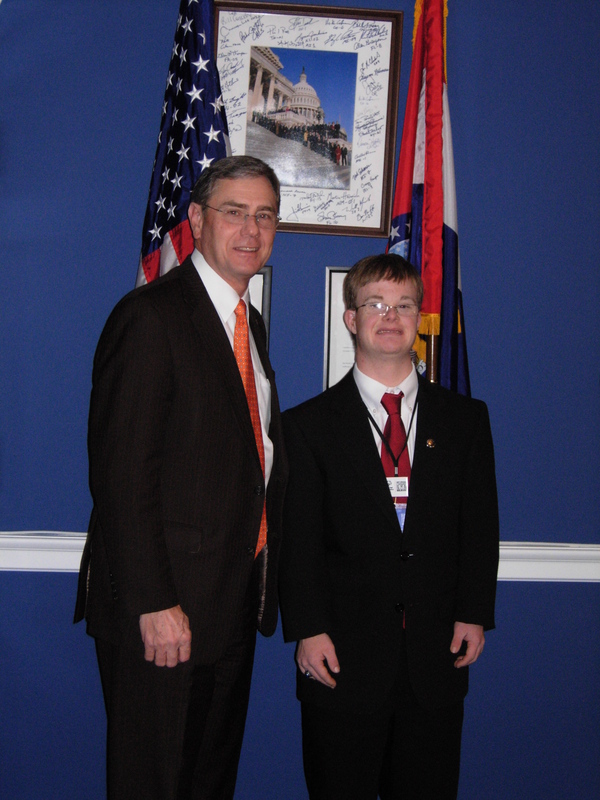 Our youth are the leaders prompting the advocacy for those with intellectual and developmental disabilities today. Expect social justice and opportunity for every citizen. Disabilities do not preclude possibilities. 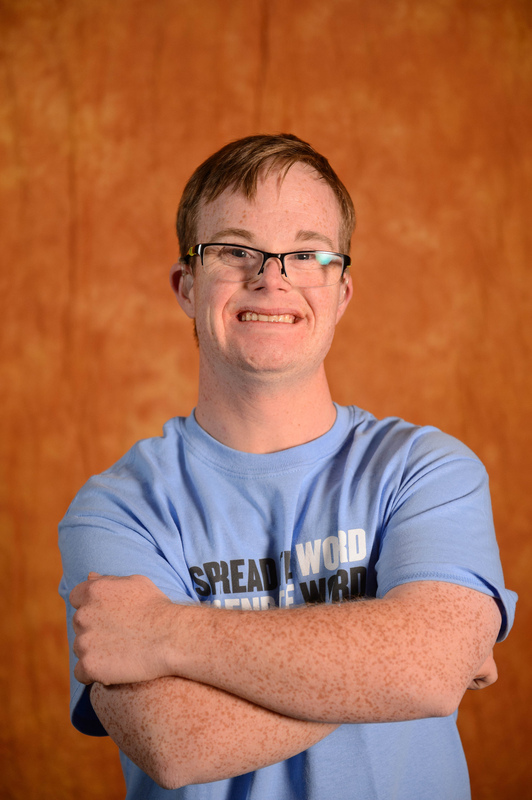 Special Olympics promotes opportunities and empowerment. Allow your dreams to soar – as anything is possible for the strong of heart!